Denise and Keith Blewitt enjoyed a fantastic first Christmas in their new home, having moved into Woodburn Gardens on 14th December. 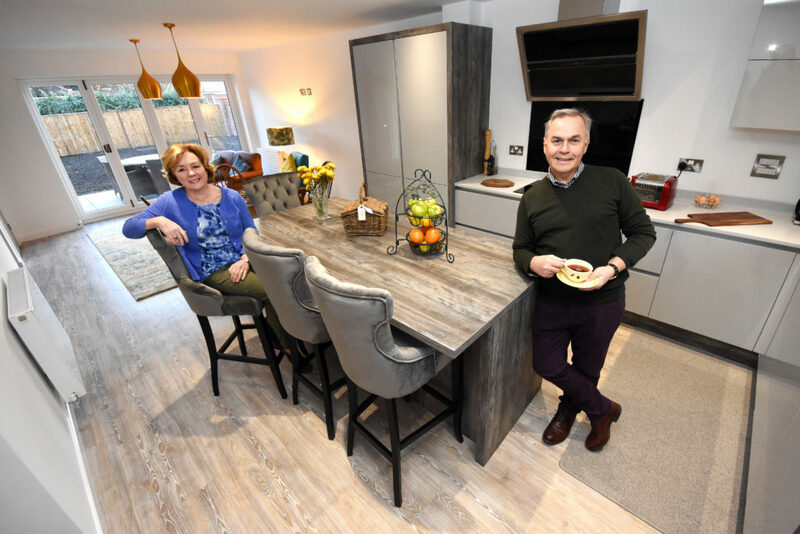 Now the happy couple are looking forward to spending the rest of 2019 in the 4-bedroom property, as Woodburn Gardens begins to welcome its first residents. After 19 years working and raising their children in their former property, the now semi-retired Blewitts decided this was the time to invest in a more modern home. They began to search for possibilities in and around Darlington, and found that Woodburn Gardens ticked all their boxes. “We were in our former home for a very long time so making the move to a new home was a daunting prospect but one which we came to embrace wholeheartedly. 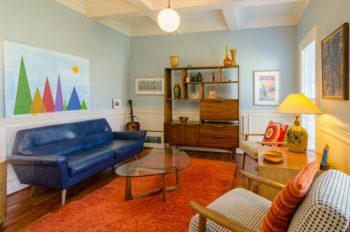 With both of our children now having left home it was time for a change and we started looking at options to move from our 1970s property into a more modern home that better suited this new phase of life. “Woodburn Gardens seemed ideal. It is only a mile and half from our former home which was a real plus point. We really love the local area and many of our friends and former neighbours could still just pop by and visit. “It has everything we could possibly need from a new home. Contemporary and elegant interior styling with lovely touches which really set Homes by Esh apart from other homebuilders. The bi-fold doors, excess of storage and high-end brands used throughout really lift the look and feel of our home and we couldn’t be more pleased with the final result. “The beautiful central wooden staircase is a real focal point in the spacious hallway and everything in the property seems well-considered and chosen for its quality. The couple took advantage of our Part Exchange offer, making the buying process quick and stress-free. 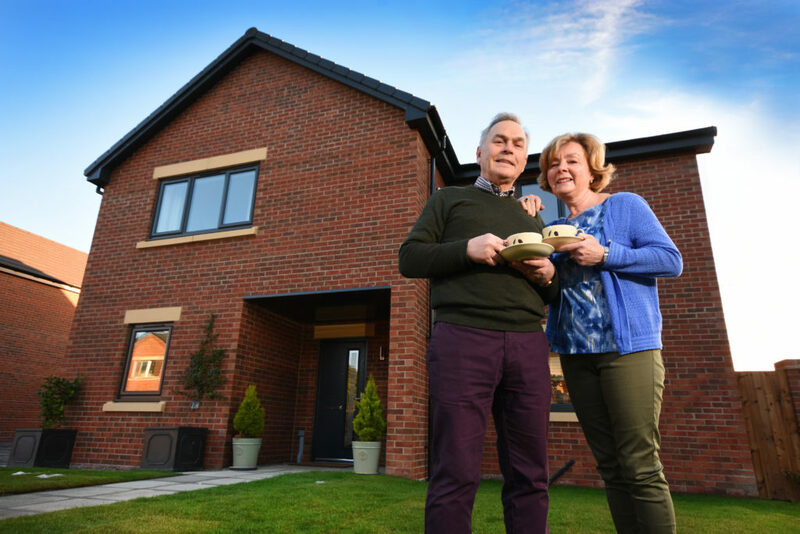 They join a number of residents who found their dream home at Woodburn Gardens just in time for Christmas. “I really can’t thank the sales team at Homes by Esh enough. They were fantastic at keeping us up to date on progress and understood our trepidation at moving from our family home of 19 years to a new property that we were purchasing off-plan. Nothing was too much trouble and they really did do everything in their power to make things go as smoothly as possible. It’s been a surprisingly stress-free process. “We’re busy enjoying everything our new home has to offer and getting to know some of the fellow residents who have begun moving into the neighbouring homes. 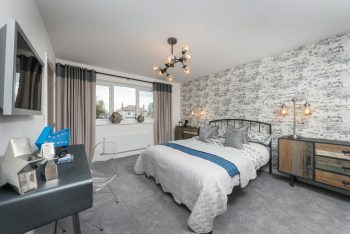 Our Woodburn Gardens development is located in the stunning West End of Darlington, and consists of 25 beautiful homes featuring modern living space and high specification interiors. Properties feature fixtures and fittings from esteemed brands such as Porcelanosa, Smeg and Hansgrohe, reflecting how, at Homes by Esh, every home is built with more in mind. Think you might find your perfect home at Woodburn Gardens? Explore the development today or contact the Homes by Esh team by calling 07422 079 322. You can also get in touch via our online live chat service. 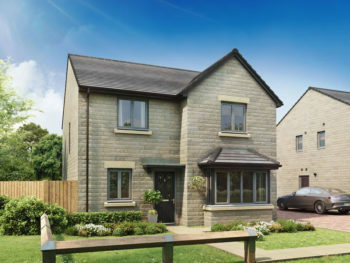 Find your dream home at Heighington Meadows this month and receive FREE flooring worth up to £17,500!